The ability to reduce costs can stem from a variety of sources throughout the service management lifecycle, such as improving technician productivity, call center activities, inventory/parts management, scheduling and dispatching technicians, and contract management are just a few examples. Additionally, integrating and automating processes can reduce overhead costs by eliminating paperwork, delays in communication, and reducing redundant tasks. Field Engineers now have access to customer service history, equipment repair records, product information, inventory and parts availability in order to provide the best possible service in the most cost efficient manner. Also with electronic data capture field engineers can eliminate mundane paperwork and focus their time on doing the best job possible rather than administrative tasks. By giving field engineers on-demand information they can eliminate over-performing on a customer contract and ensures that they bill for services delivered, no more or no less. 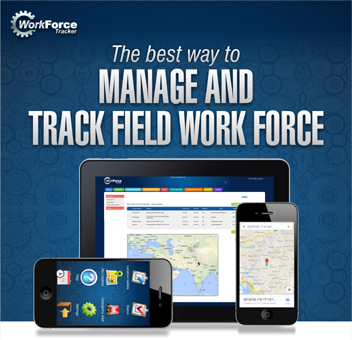 Work Force Tracker enables companies to enhance asset management, wherever the product resides. It tracks component/equipment relationships and monitors inventories for automatic replenishment. By implementing tightly integrated inventory management process companies are able to reduce inventory size and carrying costs. Work Force Tracker gives technicians access to real time inventory information, as well as the ability to order parts from the field. This web-based solution gives the field the ability to transmit parts information and gain a view of inventory stocking levels and location. By leveraging Work Force Tracker's robust decision support tools in conjunction with customer self-service capabilities, full customer visibility, and dynamic scheduling companies can benefit by minimizing time to dispatch, increase first-time fix rate, enabling customer self-diagnosis and problem resolution over the web, and ultimately improving customer service response time. 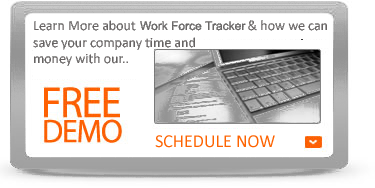 The Work Force Tracker Service Management system is a complete solution for scheduling, staffing, managing, and supporting workforce in the field. Efficiency is achieved by selecting the most suitable resources for each task as well as accounting for scheduling issues. The decision is made taking into consideration modifiable and adjustable ratings, according to a company’s unique business model. 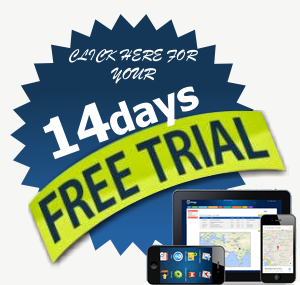 Through implementation of the Work Force Tracker Service Management system, your business can increase the efficiency of its resource usage and team coordination e.g. the impact of geographical location, by selecting the most highly-skilled team for a particular project and thereby improve its service quality. This system addresses the expectations and needs of managers allowing for the effortless management of resources, tasks, time and knowledge within an enterprise.